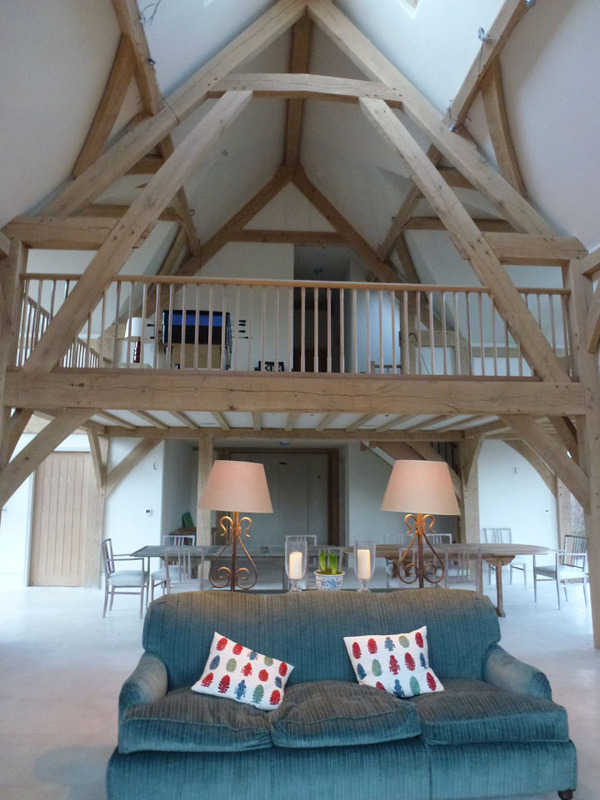 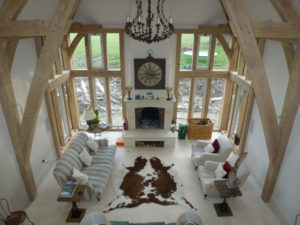 Traditional materials were combined with modern technologies to create a highly insulated and “airtight” oak framed construction, utilising air source heat pump technology. 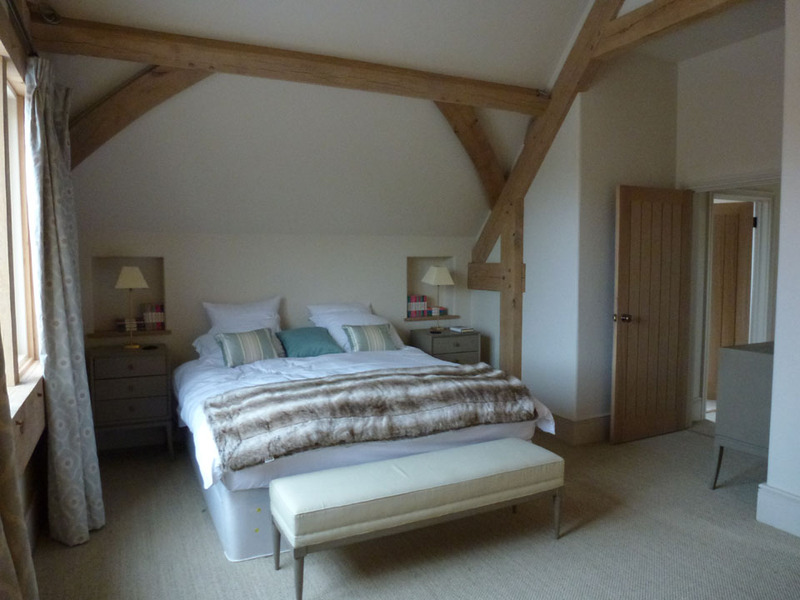 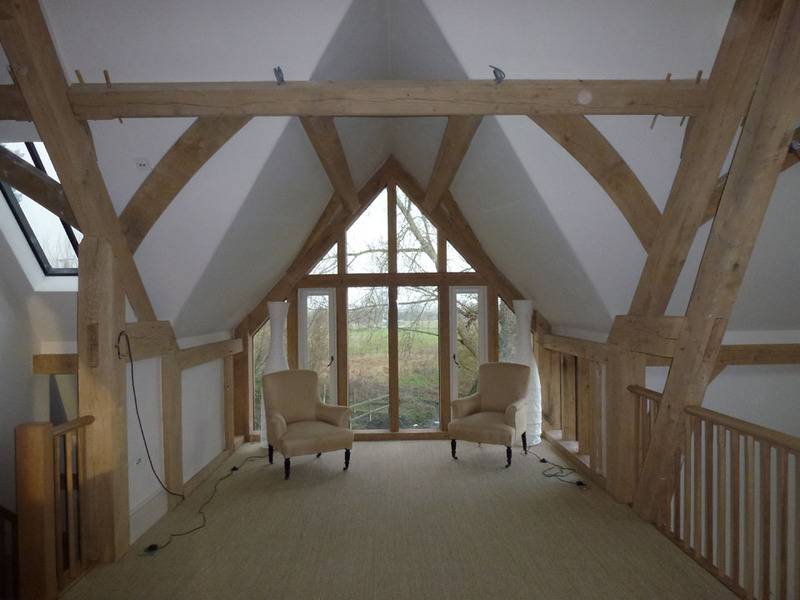 This project entailed the demolition of an existing 1980s building within the grounds of a Grade II Listed Manor House, constructing in its place an oak framed Accommodation Barn. 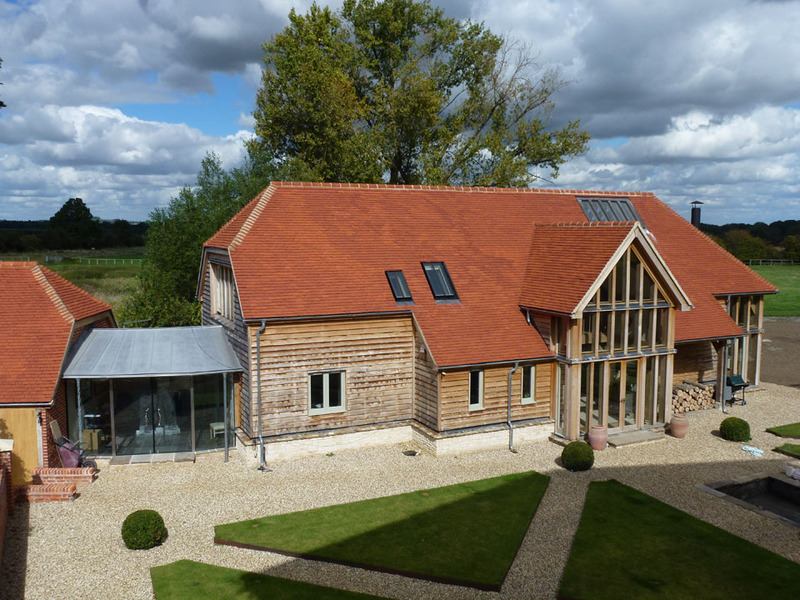 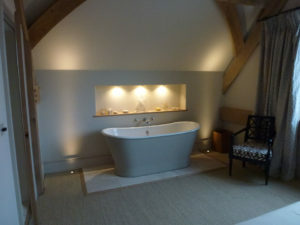 The “Barn” provides large open plan reception spaces and kitchen with bedrooms and bathrooms on the first floor. Additionally, the development includes a separate one bedroomed cottage, garaging, and ancillary stores. The two buildings are connected by a faceted glazed link structure with a terne coated stainless steel roof, serving to create a visual break between the structures. 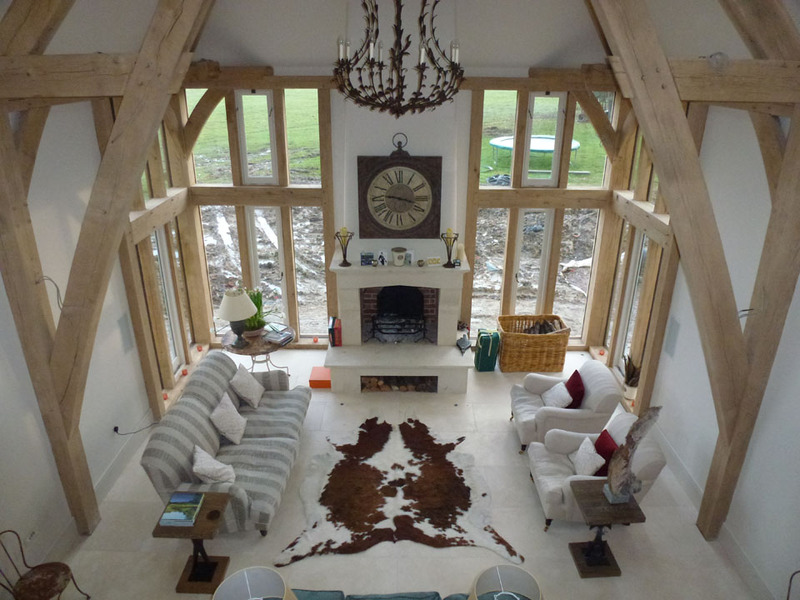 The design called for high standards in construction and finishing to meet the clients’ exacting brief. 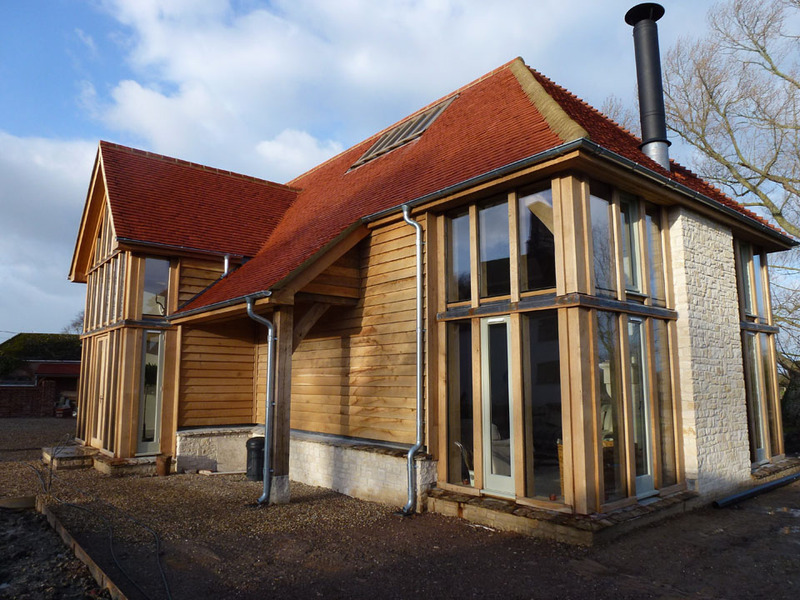 The construction was designed to achieve maximum airtightness standards, with controlled ventilation. Air source heat pumps were installed to run efficient underfloor heating throughout the ground and first floors in both the Barn and the Cottage. 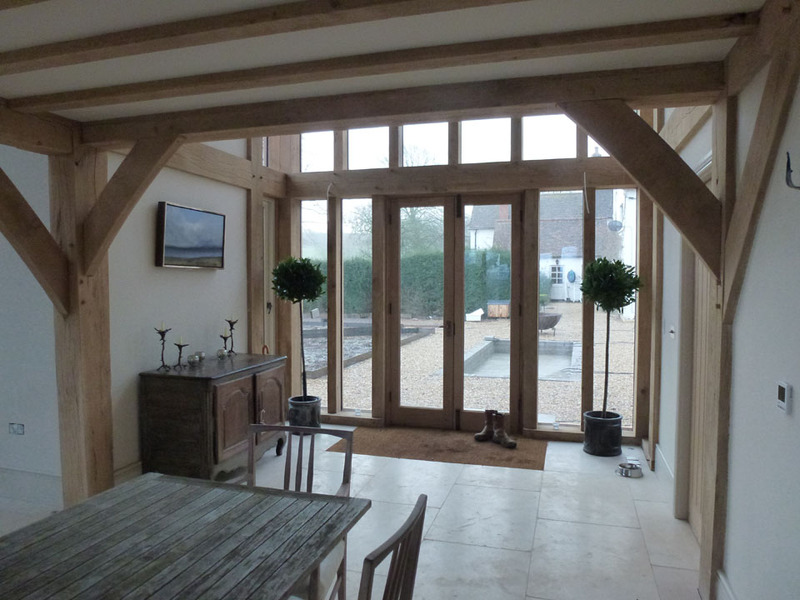 The internal spaces in the Barn were finished to a high specification and detailed to showcase the stunning oak frame, with large triple glazed external screens.